There is no more timely and relevant topic right now than food and nutrition and the impact that they have on day to day life. From the obesity epidemic to the specialized, cutting-edge diets that promote health and well-being, both the nutrition and foods areas are on everyone’s minds right now. If you are passionate about food, nutrition, and health, and want to help people develop healthier lifestyles, then you might consider studying nutrition in the United States. Nutrition is the study of the influence that food intake has on the health and well-being of an individual. Nutrition is an applied science, so students who study nutrition can be employed in a variety of scientific roles, including those related to the food industry, public health, or the media. Today, more and more people are recognizing the importance of nutrition in the maintenance of health, which means that the public demand for reliable and trustworthy information about nutrition has never been higher. As an international student studying nutrition, you will learn about food and its effect on the health of the individual. You will study food preparation and safety, nutritional education, the nutritional content of foods, and much more. You will learn how the body uses nutrients and take a large number of science prerequisites, and you will learn how to plan menus for people who have special needs, such as the elderly. As an undergraduate, you may complete an internship or work with professors on their own research projects. You will learn to evaluate people’s diets for nutritional value, and you will study the effects of obesity and other nutrition problems. Community nutrition courses, for example, will teach you how to plan and run nutrition education programs. You may be given an assignment to come up with a plan for teaching low-income residents how to use their food money wisely, or you may be asked to create educational brochures for different ethnic groups. These classes require a fair amount of research, writing, and oral presentations, and you may be subject to a good deal of peer critiques. Is the department accredited by the American Dietetic Association? 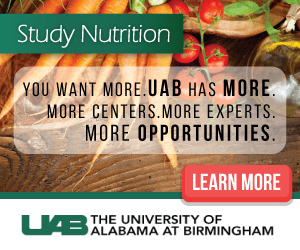 Does the school offer a broad nutrition program that covers many aspects of food science and nutrition, or does it offer one narrow emphasis, such as dietetics? Are the labs up to date? This is important, as you will be taking a fair number of science courses as a nutrition major. Will you have the opportunity for internships during your undergraduate career? Will you have the opportunity to work with professors on their own research projects? Will the school help you find work after graduation? Chefs plan and create meals in a wide variety of settings, such as cafeterias or upscale restaurants. These pros provide medical nutrition therapy, plan food and nutrition programs, and oversee food preparation. Food service managers oversee the operations of restaurant, kitchens, and cafeterias. Visit the Study in the USA School search to find schools that offer programs of study in Nutrition. Over time we will be updating this section and including more information for those who want to study nutrition in the USA and for other countries, but please feel free to post your thoughts and comments on our Facebook fan page, and also follow us and post questions through Twitter.